Description: A free customizable simple fact and opinion chart template is provided to download and print. 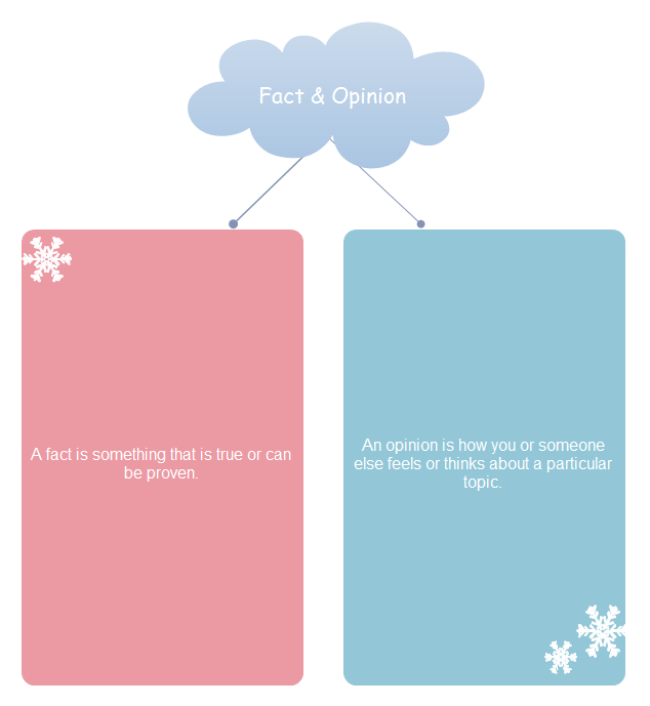 Quickly get a head-start when creating your own simple fact and opinion chart. To cater to students' preferences, the template is designed with bright colors and lively style. You can also make changes to fit your need.